I am starting pretty much scratch with my 06 LSV, out with the new. The only original piece I am keeping is the 10 inch kicker sub in a box. The tower speakers (Kicker 6.5 HLCD's) are only 2 years old. Replacing headunit with Kenwood with two wired remotes. Since I already have the holes cut for wired remotes I am keeping that. Plus the ability change tracks and volume form the swim platform is nice. Have not seen any other options that would fulfil this role and fill the existing holes form the Clarion wired remotes. Plan to go with Wet Sounds 420. Debating the SQ vs the BT - the BT is currently hard to find, and givent he Kenwood head unit has BT, which again allows me to change tracks from the swim platform, the 420SQ seems fine. I want multi-zone control. Looking at options, and reading threads many people have different thoughts on this. Honestly I would love to find something with 4 zones so that I could put the dash speakers on a separate zone and turn them down occasionally. Ideas? amps - 2 channel Rockford for the tower; 5 channel soundstream for cabin and sub. I have an extra 4 channel rockford I could use for the tower speaker or sub crossed to 2 channel, if the soundstream has trouble keeping up. I used a 5 channel kicker for years and it was actually great, then it burned up and I really should have just replaced it with another...I am not married to the Soundstream and would consider other options, something not more than 5-600 that could drive all 6 cabin speakers and the sub. speakers - tower and sub are fine, the 6 cabin speakers all need to go. I have 4 Polk MOMO's in a cabinet in the garage. Question is what can i put in the dash that won't be as harsh for the driver? If I do not use the Polks (or both pair) I have another project I could use them in. Suggestions? Honestly I would love to find something with 4 zones so that I could put the dash speakers on a separate zone and turn them down occasionally. Ideas? Wet Sounds MC-1 has 4 zone control, thats also accessible from the remote(s), integrated BT so theres your track control. Round wired remote should cover the old remote footprint. Question is what can i put in the dash that won't be as harsh for the driver? Put them on their own amp chnls, so they can be gained individually from the other in-boats. would consider other options, something not more than 5-600 that could drive all 6 cabin speakers and the sub. I like a 5 or 6 amp for in-boats and a woofer. However, I would ignore those marking numbers like "500 watt amp" or 600 watt amp" blah blah blah. These number dont always translate in the RMS the actual drivers end up receiving. Rather, look at the amp chnl rms based on the load it will be driving. Your tower setup is a 4 ohm per side setup and works great when bridged on a 4 chnl amp. I would look at which one is going to offer the better wattage for it, your 2 chnl or the spare 4 chnl. where would the MC-1 display unit install in an older LSV like mine? I would guess the only place is under dash, and it seems awfully big for under dash. I tried a quick google search for images but came up empty. I wonder if other have done this? So you've noticed. Good ear. A good choice in a dash speaker would be a coaxial with a soft dome tweeter. A Polk MOMO would qualify. The best I can think of would be a JL Audio MX650. Any speaker placed atop the dash and reflecting off the glass will suffer from an irregular response and appear more strident. A bright and peaky coaxial will accentuate the problem, while a naturally warmer and smoother coaxial is much friendlier in this position. The dash speakers really need a pair of dedicated channels in order to offset their positional advantage and so that they can be brought into better balance with the rear cockpit speakers. 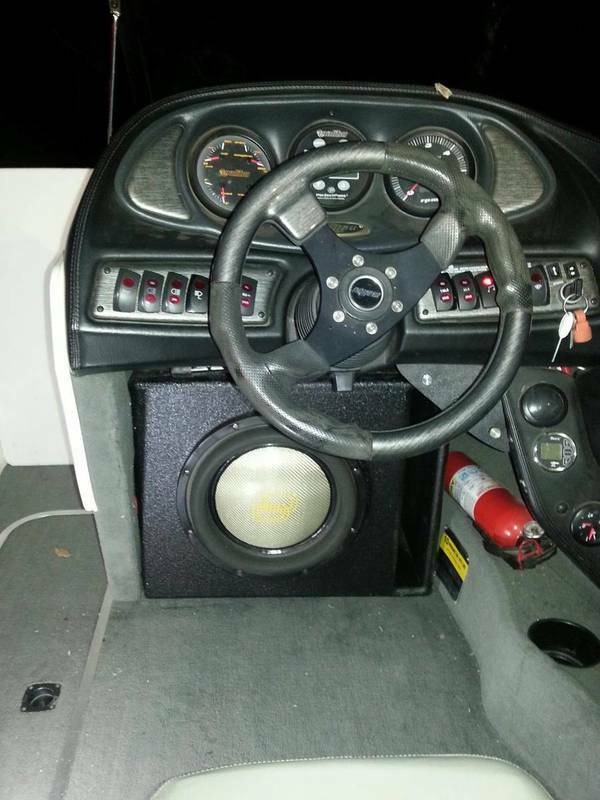 If two separate amplifier channels are not available, then a multi-position stereo autoformer volume control can be added to the dash speakers, set up, and concealed away. For the exact same reason, many have added a passive contour circuit to the up-firing dash speakers in their cars, which created a mild null through the most offensive range. Bose used to make a similar contour circuit built into their zone volume controls. You could even sneak in an inexpensive EQ, like a Clarion, just for the dash speakers. You're not without options. Between the amps I have I think I can tone down the dash speakers by running them on a separate amp channel with the gain turned down. That seems easiest. Reading up on the MC-1, but have no idea how to mount that in my interior. If you are looking to buy anything wet sounds or JL call up creative audio and ask for James. Their prices are great. I ended up buying the WS420BT solely to have the equalizer BT as a back up if my BT rocker switch stopped working. The price difference was ~$50. You may have to see if you can get a quad gauge or move the multi line to the side. But anything is possible. I have read about his build. The problem is that my boat has the digital cluster in the middle already. I thought about surface mounting it to the right of the driver near where the existing HU is under the armrest...not sure that will really look all that great. What information would you loose if you got rid of that multi line? Have you called the gauge manufacturer to find out what options you have? Do you have the pillar that goes next to your right leg? If so you may be able to move non critical gauges down there. The panel I am talking about is to the right of my sub and holds my depth finder and some clock. BTW the dash build is mine. Trust me, where there is a will there is a way. mounting under the dash and to the right is probably the easiest option. I was looking to see if there was any kind of ready to use mount for the MC-1, but have not found anything. I could cut something from plastic, or was thinking about using some aluminum brackets to mount it. Interestingly not finding many people who have posted reviews of using the MC-1. I was curious how easy it was to quickly adjust volume levels for the different zones, etc., again, not finding all that much info. Interestingly not finding many people who have posted reviews of using the MC-1. I was curious how easy it was to quickly adjust volume levels for the different zones, etc., again, not finding all that much info. Keep in mind thats its only been out this year. Not much time to go to production with custom mounts. Master volume is a turn of the large knob. Zone levels are just a meter of tapping the master knob and you are into the zones. Then you select the zone you want and adjust. Quick and simple. Given my lake outings have been cut due to a new born and slicing my ankle up. But the ease of use of the volume knob and the presets for zone control are Soo easy. Along with the menus and source controls.